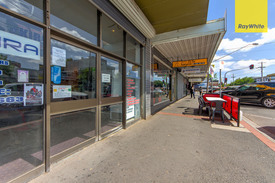 19 Commercial Real Estate and Properties in Melbourne Western Suburbs are listed in 8 categories. We have 72 Industrial Warehouses for Sale , 35 Development Lands for Sale , 11 Retail Shops for Sale , 5 Medical and Consulting Properties for Sale , 5 Offices for Sale and 1 Showrooms for Sale . Scarce As Hens Teeth-tightly Held Location Prime ST ALBANS shop for ..